Hurricane Florence will be remembered for the relentless rain associated with her slow trek over the Carolinas. As residents return to flooded neighborhoods to deal with Florence’s aftermath, we offer the following tips for cleanup and recovery. Flood cleanup starts with removing flood water (usually contaminated with sewage) and drying affected areas before dangerous mold sets in. Residents should evaluate all items touched by flood waters, deciding which to keep and which to toss. If an item got wet, assume it is contaminated. Whenever possible, use a disinfecting solution of chlorine bleach to disinfect items touched by flood waters. Flood cleanup efforts can put you at greater risk for cuts and abrasions, so stay up to date with your tetanus vaccination. Disinfecting works best when all loose dirt and debris are removed first. That’s why the US Centers for Disease Control and Prevention recommends first washing surfaces with soap and warm, clean water. Next, use a household bleach solution to disinfect. Prepare a bleach solution (3/4 cup chlorine bleach per gallon of water) to disinfect walls, floors and other surfaces touched by floodwaters. Keep the area wet for at least two minutes. When addressing exterior surfaces, such as outdoor furniture, patios, decks and play equipment, keep surfaces wet with disinfecting solution for 10 minutes after removing loose dirt and debris with soap and warm, clear water. This may require wetting the surface with disinfecting solution more than once. Chlorine bleach solutions degrade quickly, so be sure to make a fresh solution daily. Unused solution may be discharged into the toilet or sink. Carpets and rugs that have been soaked for more than 24 hours should be discarded. If carpets and rugs were soaked for less than 24 hours, evaluate as follows: Carpets that contacted sewage-contaminated floodwater (including basement floor drains) should be discarded. Carpets that contacted only clean basement seepage or lawn runoff may be dried and cleaned. Washable throw rugs usually can be cleaned adequately in a washing machine. For more information on cleaning flood-damaged carpets and rugs, see this North Dakota State University website. Do You Have a Private Well or a Backyard Pool or Spa? If you have a private well on your property that is below flood level, it is recommended that under non-flood conditions you extend the top of the well above the expected flood level and install proper seals on all openings into the well. This will help prevent flood waters from entering the well. 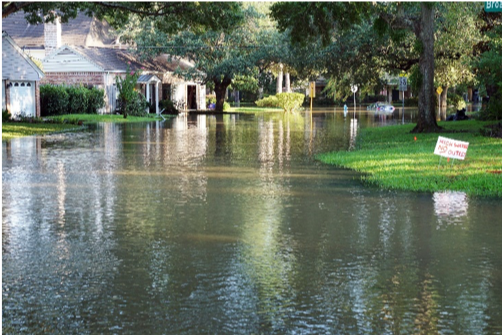 If your well is flooded, refer to the US Environmental Protection Agency’s What to Do After the Flood for directions on decontaminating your well. Finally, while perhaps not your first priority, there are some important steps you can take to return your flooded backyard swimming pool or spa to working condition. We sincerely hope these flood cleanup tips will be useful to the residents of hurricane-affected areas.